We have a large team of professionally trained, highly skilled volunteer first aiders. We have grown from strength to strength in 2018 and we now have teams based in Boyndie and Aviemore with plans to expand further afield in the near future. 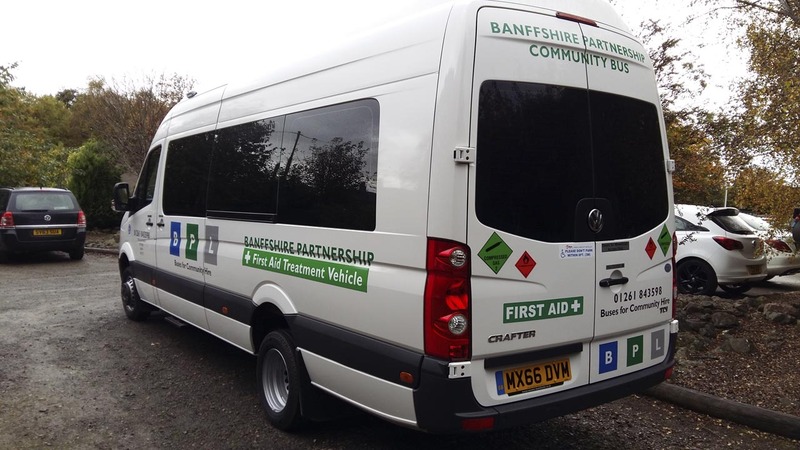 We were the chosen First Aid provider for over 40 organisations in 2018, including High profile events such as The Scottish Traditional Boat Festival in Portsoy, The European Piping Championships in Forres and The Speyside Kiltwalk as well as many local festivals and galas. If you are organising an event and are exploring your first aid cover options please contact us today using the form below for a free, no obligation competitive quote. Please provide as much detail as you can when you contact us, this helps our team to give you the most accurate quote. If you have any questions at all one of our team will be happy to contact you. If you are unsure of what your first aid requirements are we are happy to talk them through with you and guide you down the correct path. Costs vary depending on the type of event, size of event, number of first aiders and equipment required. With our services becoming more and more popular, we have a continuous recruitment campaign. We are particularly keen to hear from anyone with a keen interest in First Aid whether you have experience from another organisation or are just starting out we have a place for you. We provide all the training and equipment you need including a uniform and continuous development. If you would like further information on becoming part of our team please use the contact form below and we will get back in touch with you.